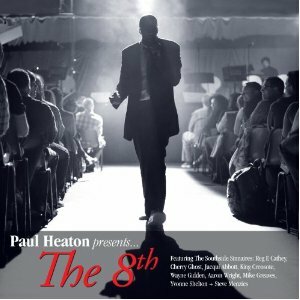 Former Housemartin and Beautiful South main man Paul Heaton will be on tour in July with his Soul Opera, The 8th. To tie in with this stage performance, the songs have been recorded in the studio and are being released on a CD/DVD package. The album includes performances from the full original The 8th cast, The Southside Sinnaires featuring: Reg E Cathey from US hit series The Wire, Mercury music prize nominee King Creosote, Ivor Novello winning artist Cherry Ghost, ex Beautiful South singer Jacqui Abbott, as well as sweet soul singer Wayne Gidden, Scottish singer songwriter Aaron Wright, The Earlies Christian Madden, Hull country & western singer Mike Greaves and the wonderful Yvonne Shelton. The 8th – given a theatrical narrative by award-winning playwright Che Walker (Royal Court and Young Vic) and directed by Paines Plough’s joint artistic director George Perrin– is one of the longest songs ever written. It is a song in eight chapters and looks at the seven deadly sins through a series of scenes taking place in a single poverty-stricken neighbourhood, one where a new, thoroughly modern sin, The 8th is able to insinuate itself into every person’s life. The DVD included with the album is the full perfomance of The 8th taken from last year’s Manchester International Festival 2011. The 8th tells a story that takes place in a poverty stricken neighbourhood and alternates between the song and narration. It looks at the seven deadly sins and a new one - the 8th. The story is compelling and isnt the sort of thing you'd associate with a musical or opera - it's more the sort of thing you'd associate with gritty crime dramas. The music works very well with the story and enhance the story rather than distracting from it. It's really a superb work overall. I really wasn't sure what to expect from this release, but knowing Paul Heaton's work from his time with the Housemartins and The Beautiful South I expected it to be good. What I hadn't expected was for it to be this good - it really is a fantastic album, and having listened to this several times I'd definitely recommend it, and also suggest that if you get the chance to go and see one of the live shows in July then you really should go. The 8th is released on 2nd July on Proper Records.